The club are pleased to announce the return of Dan Carmichael. The 26 year old winger who spent five years with the club from 2010 before accepting a move to Hibernian returns until the end of the season. Dan who made 142 first team appearances for Queens is working his way back to full fitness after an injury hit spell in Edinburgh. He's been a free agent since agreeing to leave Neil Lennon's side by mutual consent. Dan's most successful time came in 2012 when he was part of Queens league and cup winning side, his performances during that season earned him a place in the PFA Scotland Second Division team of the year chosen by his fellow professionals. 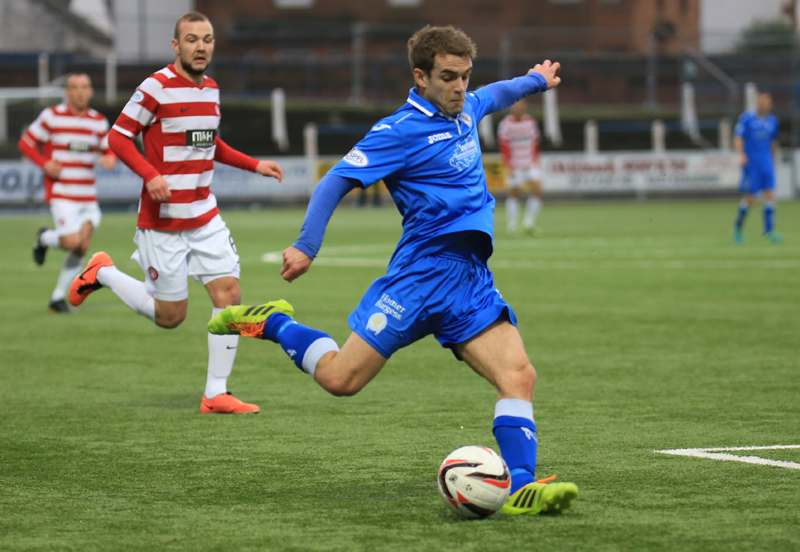 Commenting on his return Dan said "It's great to be back at Palmerston, Queens have always been special to me. I've struggled with injury since I left but I'm looking forward to being involved again. The team have been great so far this season so long may that continue". Football development manager, Jim Thomson added "Dan was magnificent for us when he was here before, a big favourite with the supporters. His move to Hibs didn't work out as well as he'd hoped for but he will have gained a lot of experience from his time in Edinburgh and returns to us a more mature player. We've made a good start to the season but it is important for us to strengthen the squad. Dan knows the club so I'm sure he will fit in straight away and will be ready to go when called upon".